I’d like to thank co-author Ashley Koff, RD for her initiative on this issue. More of her work can be seen at AskleyKoffApproved.com. You’ve heard the news, and in sets panic. Have I been inadvertently poisoning my family with arsenic? We share your concerns and as such created the following to help you where it counts most – in the kitchen – with this plan for reducing your family’s arsenic intake and along with it reducing the associated health risks. Do you and your family consume rice / rice products several times daily? Remember this includes cooked rice as well as some cereals, non-dairy milks, non-dairy cheese, veggie burgers, crackers, bars, protein powders, cookies and other treats made either with rice or sweetened with rice syrup as well as using brown rice syrup as a sweetener. How many different types of grains does your family consume in a week? Greater than 2? Do you and your family consume animal meats like chicken and ham, sausages, and eggs? 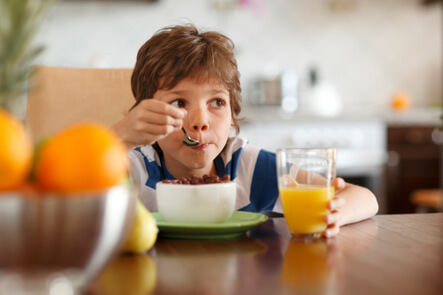 Do you and your family drink fruit juice? How much daily? Is it organic? What is the proper portion of cooked rice for a child – ¼ cup, ½ cup, 1 cup, 2 cups? And for an adult? Your answers will be addressed within the recommendations below and you will also learn how to develop a healthier diet – one that improves overall health including minimizing exposure to inorganic arsenic. Understand that some arsenic is found naturally in the soil, but that humans have contributed to the problem by using arsenic-containing pesticides in some areas and by fertilizing with manure from poultry treated with arsenic compounds. Where and how your food is grown matters. Any food can contain some arsenic, but organic farming is part of the solution, not part of the problem. No one food is the arsenic culprit, but some foods do absorb more of whatever’s in the soil – for good or for ill. With that in mind, what should you do for your family? Reduce means well, reduce: the first lesson here is a simple but highly effective one – when we consume less our risk of overexposure to anything goes down. Portion control – for cooked rice, use a guideline of roughly the child or adult’s fist – so your 5 year old likely should get a ¼ cup portion and Shaq can have 2 cups. Frequency – when it comes to rice and quality rice products, consume them in your food choices but not as the exclusive or primary food choice. Variety! – nature created numerous grains, and even numerous variety of the same grain, as well as fruits and vegetables etc. Rethink baby food: Babies eat more, pound for pound than we do and are more at risk from toxins. Our WhiteOut campaign replaces the old idea of white rice cereal as baby’s first food, only food, or main food. Babies learn tastes like they learn a language, so variety can be even better for babies than for us. Be a Qualitarian: know where your food comes from and what’s been done to it. Choose organic chicken and pork products to avoid pesticides, GMOs, and poor quality animal feed going into the animal and later on to your plate. Choose organic whole grains and sweeteners whenever possibly too. While arsenic may be today’s fear, the studies keep coming out about how pesticide residues negatively impact health, and even as we write this the first long term animal study on GMOs shows scary results for even the lowest levels of intake of GMO corn. Place of origin – just like seafoodwatch.org helps us routinely identify not just which fish are safer to eat, but also notes where from and in what form, the same appears to be true for rice. For right now, rices from California and some parts of Asia appear to be lower in arsenic. If you are consuming puffed rice crackers, cakes, and cereals as a diet tool you could benefit from a quality upgrade – when rice is puffed not only does its glycemic load go up, the nutrient levels go down – yes its low in calories but its lower in terms of what’s good and in the case of rice products it could be higher in arsenic. Try cucumbers or zucchini slices as your “cracker” or “cake.” They can be topped, can be dippers, and deliver no calories, a crunch, and plant nutrients to help protect and clean up from the inside out. Get tested – your water that is. Find out what needs to be remove and possibly what is lacking. These are inexpensive tests and a neighborhood will have similar results so you can even share the costs (may depend on the age of homes / pipes but still can be a good baseline). Consider a Plant-Based diet: Studies and cultures from around the world teach us that reducing our intake of animal meats and animal products can be healthier for us all. Don’t MONO eat – try to incorporate as many plants as possible into your diet – if you currently rely just on rice milk or rice cheese or a rice veggie burger try different versions from hemp and coconut or other nuts. Many plant-based eaters and their loved ones worry about their protein intakes and turn to protein powders to deliver supplemental protein – if you are consuming 1-2 servings of rice daily, change it up – look at blends and nutrients like hemp and organic soy (remember organic here because likely trading an arsenic concern for a GMO one may not net you healthier in the long run). Just a Spoonful of (organic) sugar – Mary Poppins got it right but we need to emphasize Just in Just a Spoonful of Sugar for optimal health. If a food product (bar, cereal etc) has rice syrup or any sugar for that matter, in its first two ingredients, consider a better option. A serving of fruit juice is four ounces. It should be organic (especially apple juice when talking about arsenic). One daily spoonful of sugar – in the form of organic added sweeteners, juice or a treat is a good amount to aim for – beyond that you are over-spooning it which has negative healthy implications. Especially for kids whose sweet tooth is overdeveloped from birth (or before), you want to control exposure until the other taste buds can give the sweetie some competition. If you are using brown rice syrup as a sweetener, we do recommend considering other sweeteners more often like organic coconut palm sugar, organic cane juice and maple syrup, and as age-appropriate, raw honeys. If you follow these tips, you will not only reduce your family’s overall intake of inorganic arsenic but you will also improve your family’s health via a better quality diet. We see this as a win, win. We hope you will too.